That night, my husband and I sat inside the train to take us to Jakarta. 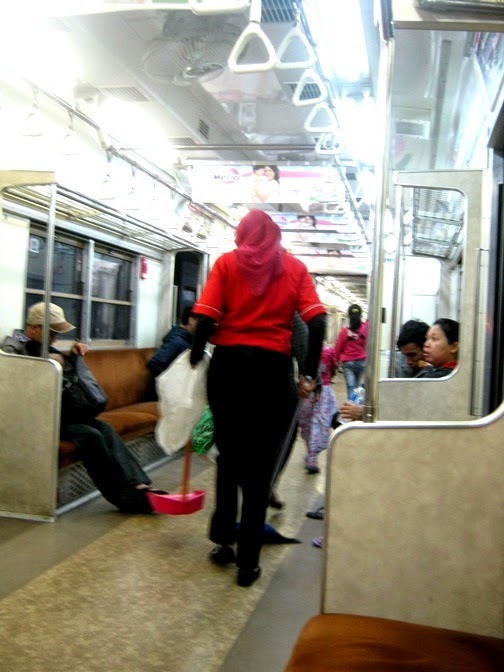 When waiting the departure time, I saw a female sweeper got in and cleaned the carriage. Most of the train sweepers are female. I am in favor of not discriminating against women! Its the same in Norway and most of them comes from Polen and Lithuania . I don't think cleaners work in trains in Singapore or in NZ. They work after hours. Not very pleasant sitting with the dust flying around.